The revised position statement was adopted by AGU’s Board of Directors on 12 January 2018. The statement is based on AGU’s previous geoengineering statement adopted on 13 December 2009 in collaboration with the American Meteorological Society (AMS) statement which was adopted by AMS Council on 20 July 2009. AGU revised and reaffirmed that original statement in February 2012. Learn more about AGU position statements. If you would like to speak to someone about AGU’s position statement and climate intervention, a subject matter expert from the task force will be available for comment. 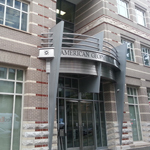 Members of the press should contact AGU’s Strategic Communications to schedule an interview. Please note that panel members’ affiliations are provided for identification purposes only. The position statement reflects a consensus view of AGU and not necessarily any of the panel members’ employers.